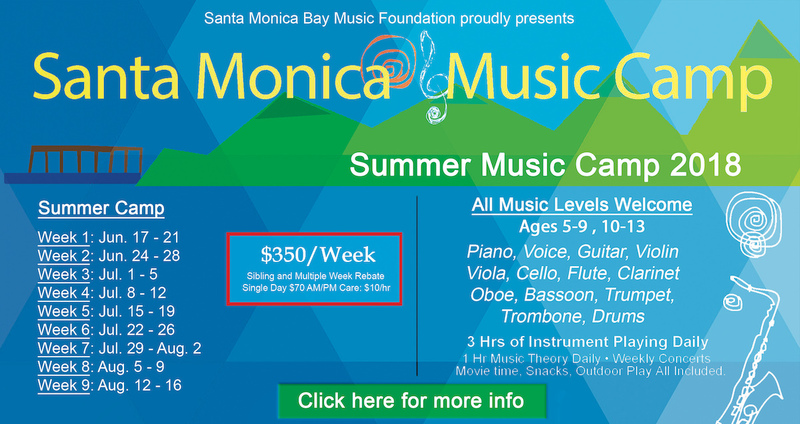 The Santa Monica Music Camp is coordinated by the Santa Monica Bay Music Foundation. Online registration will be processed through the MINDBODY Online Store and Scheduler. Please feel free to contact us if you encounter any problems during the registration process or if you prefer to have our staff create your account. 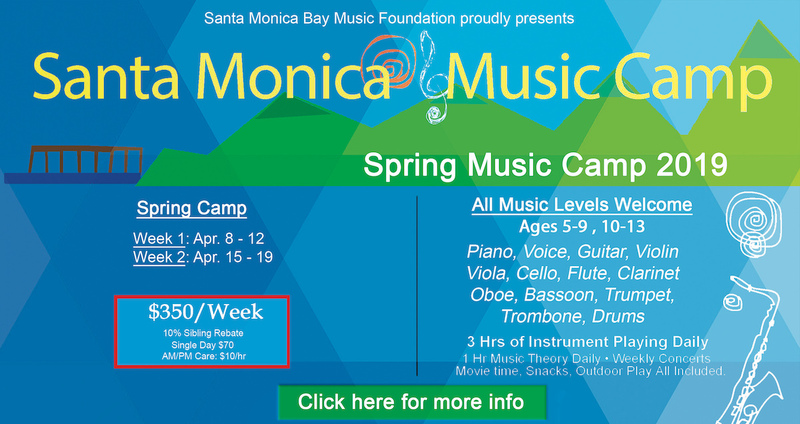 Cancellation refunds are reviewed case by case, but our standing policy is that all refunds will be issued as camp or Santa Monica Bay Music Foundation credit, to be used within six months of cancellation. Once the purchase is completed, you will receive an automated email with your receipt.